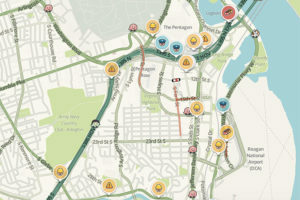 Arlington County is likely to join Google’s Connected Citizens Program, which shares road condition and traffic data gathered from its Waze app with localities across the country and around the world. The County Board is expected to give its okay to joining the program at its meeting on Saturday. “Launched by Google in October 2014, the Program exchanges transportation data with local law enforcement agencies, cities, state DOTs, and countries around the world,” wrote county staff. 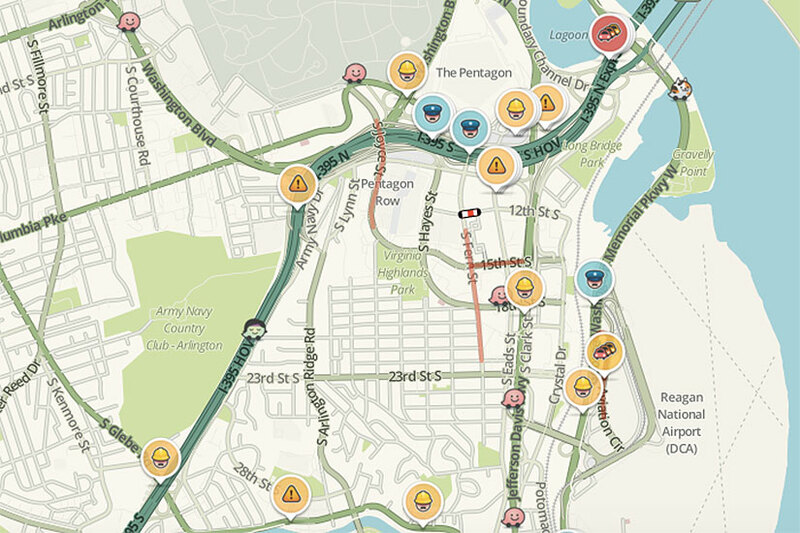 It’s a two-way exchange — the County would be sharing road closure information while Waze would be sharing crash, traffic and road condition reports, as submitted by the app’s users.